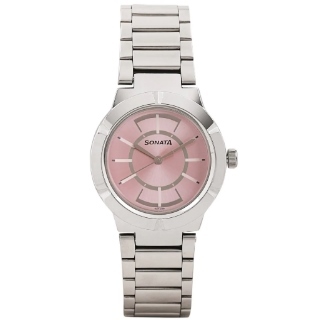 Titan Online Store Sale - Purchase Sonata Professional Pink Dial Analog Watch for Women worth Rs.1265 at Rs.1012. Sonata Professionals Collection is the everyday range of watches for all those who believe in power dressing when they go to work. The range consists of watches with interesting dials, matching with straps in Stainless steel and leather; available for both men and women. Also get free shipping in India. All products on Titan store are original and go through strict quality check. Shop now!